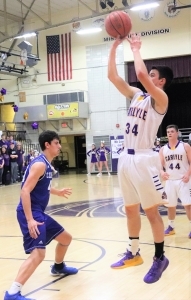 Columbia wins its tenth straight meeting with the Carlyle Indians as the Eagles down the Tribe 66-43 Friday in Cahokia Conference Mississippi Division play. 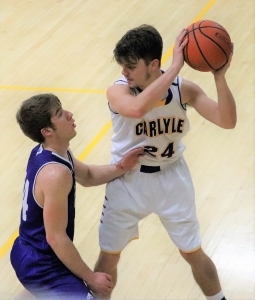 Led by a pair of buckets by Lane Heinzmann and Dawson Reinacher, Carlyle built a 14-10 lead in the first six minutes, but Columbia answered with a 13-0 run to take the lead for good. That surge eventually turned into a 23-3 run as the Eagles extended their lead to 33-17 later in the second period although back-to-back treys by Chase Taylor and Luke Boatright got the Tribe within 33-23 period to halftime. 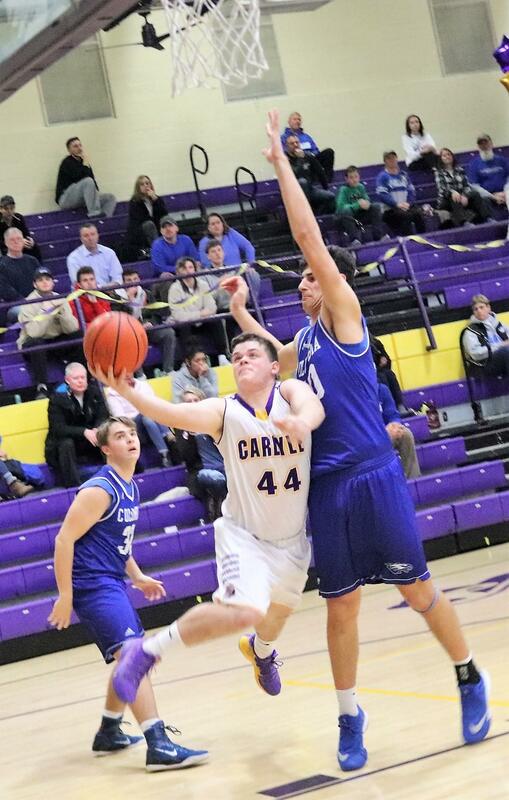 Carlyle was still within 10 at 42-32 with just under three minutes left in the third quarter, but the Eagles scored the next seven points and led by 17. Columbia began the fourth quarter with a 12-5 run and opened up a 61-37 advantage midway through the fourth quarter. Boatright led Carlyle with 13 points, Taylor had 12 and Reinacher contributed nine. Indians fall to 6-23 overall and 1-8 in conference play. Indians close out the conference and regular season next Friday at Salem. 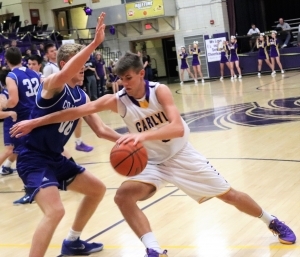 NOTE: Carlyle drew a first-round matchup against Dupo in the opening round of the Class 2A Carlyle Regional. That contest will be Feb. 18 at 7 p.m. 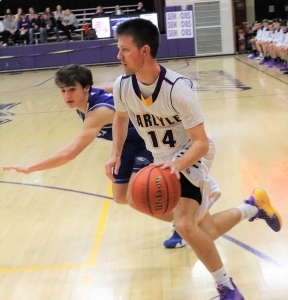 The winner will face Nashville in the semifinal round Feb. 19 at 7 p.m. Hillsboro and Trenton Wesclin hook up in the other semifinal Feb. 20 at 7 p.m. The championship game is Feb. 22 at 7 p.m.